NY: Simon and Schuster. Very Good in Very Good dust jacket; Boards splayed, jacket shelfworn.. 2009. Later Printing. Hardcover. 9781416572442 . 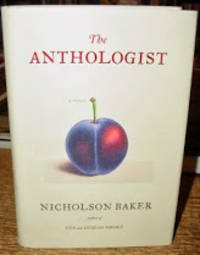 A novel about poet Paul Chowder and his love affair with poetry. ; 243 pages .